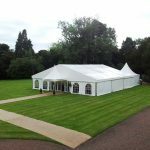 Set in the unspoilt Northumberland countryside and within the Scottish Borders, Tillmouth Park is the perfect venue for an exclusive-use gathering. Our emphasis is on quality of service and excellence. 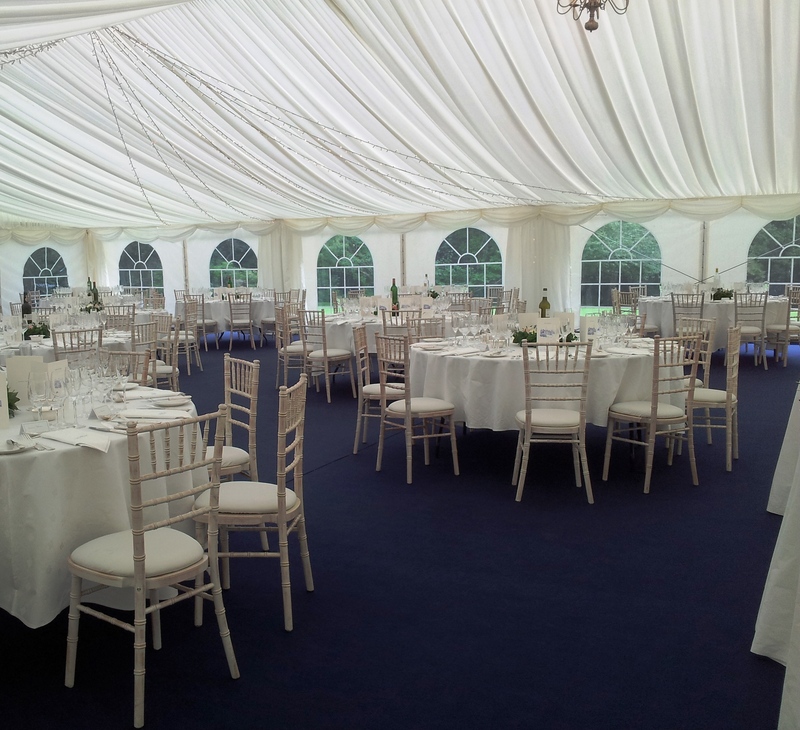 We are here to help you arrange all the details of your function with a friendly and professional approach. Add this to the beauty of the location and our reputation for cuisine and fine wines and it all combines to ensure a wonderful day. 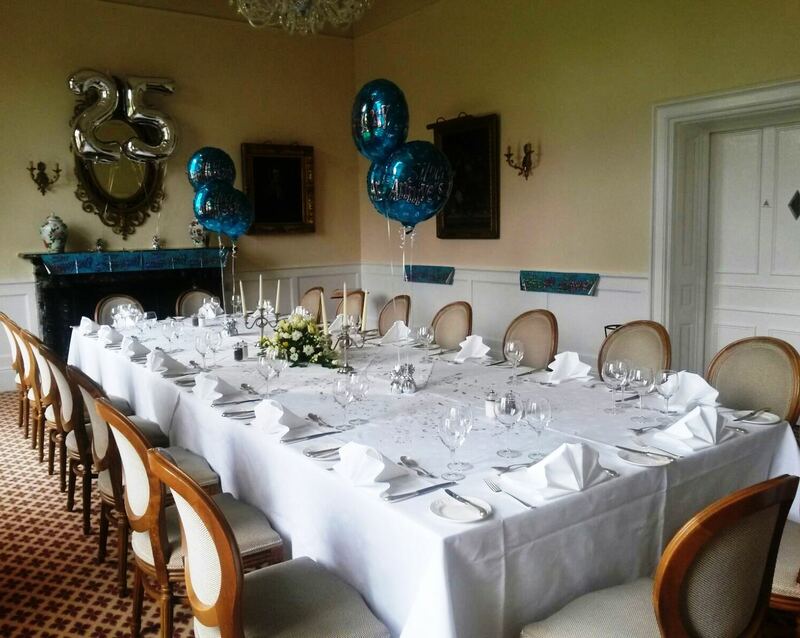 Your celebratory meal can be held in our wood-panelled award-winning Library Dining Room which seats up to 70 or for larger parties a marquee may be erected on the lawn. The hotel has two stunning Four-Poster Rooms (in total there are 14 bedrooms, one of which is a single). 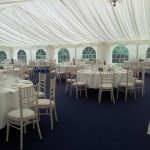 The hotel is ideally suited for small intimate events as well as parties up to 70 guests (Marquees are recommended for larger numbers of 80 up to 250). 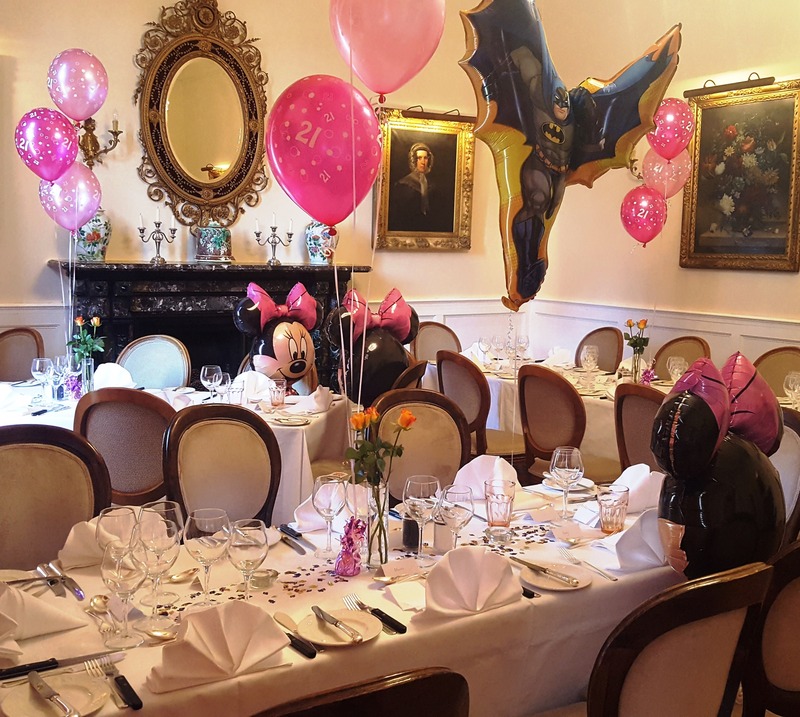 As we do not have a separate function room, your afternoon celebration must be finished and the restaurant clear by 5.00pm when not taking exclusive use. Tillmouth Park may be hired for exclusive use at a cost of £4,000 per day (2.00pm until 12 noon the following day) and includes the hire of 14 bedrooms on a bed and breakfast basis, private use of the hotel and grounds. If your exclusive use is on Saturday, a minimum of 8 rooms must be booked on the Friday. 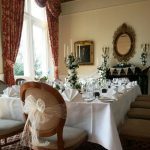 For an exclusive use booking taking place on a weekday (Monday to Thursday inclusive) the hotel offers a 25% discount and the cost is £3,000 per day. Share your ideas of your ideal reception with us and we’ll help turn them into reality by tailoring all aspects of your day. Our staff too will play their part; their friendliness and professionalism will deliver a level of service and excellence that really will make your day special. Our hotel can be hired as the setting for small business conferences with ample parking, comfortable lounge areas and excellent catering. 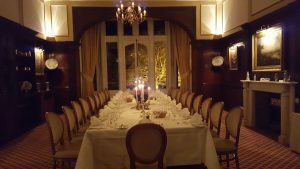 So why not consider exclusive use of the hotel for your company’s next ‘away from it all’ business get-together and make the experience really special. 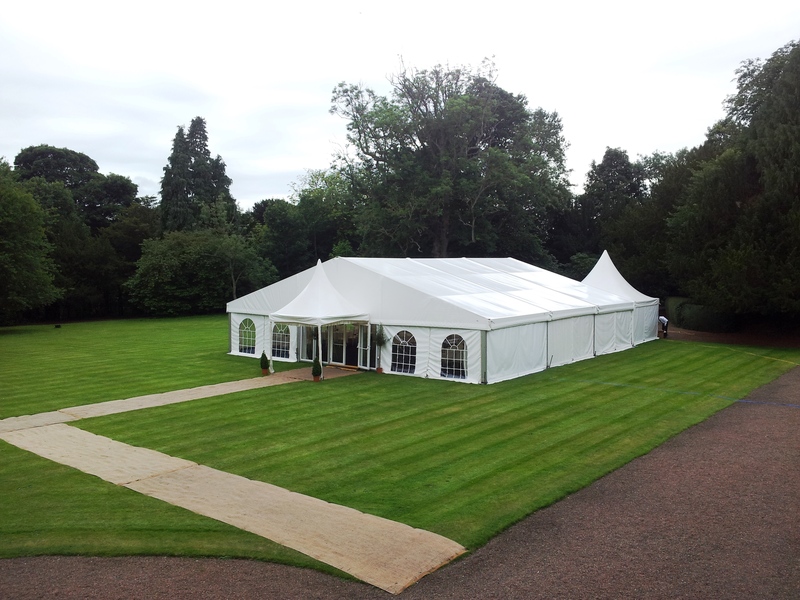 Tillmouth Park is a popular venue for different occasions, such as Birthdays, Anniversaries and Christenings. Spend an unforgettable day here or hire Tillmouth Park in its entirety and take advantage of the private parkland gardens, the magnificent reception rooms and all 14 bedrooms. 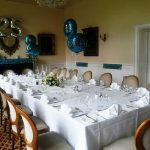 Our Restaurant Manager, Shirley Lauder, has over 30 years experience in organising celebrations. 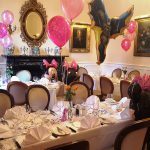 Shirley would prefer to discuss your menu choices with you and tailor-make the dishes to suit your party. The following selections are to whet your appetite although they are available for you to choose from. Each menu is served with a selection of fresh vegetables and potatoes. Click here for Sample Function Menus. Please note that the following selections are suggestions only and prices are applicable for a minimum party size of 12. Although these menus are available for you to choose from we are happy to put together a menu of your choice and quote a price for you. Click here for Sample Buffet Menus. We offer an extensive wine list to complement your choice of menu as well as the tailor-made drinks packages as suggested here. Click here for Sample Drinks Packages.